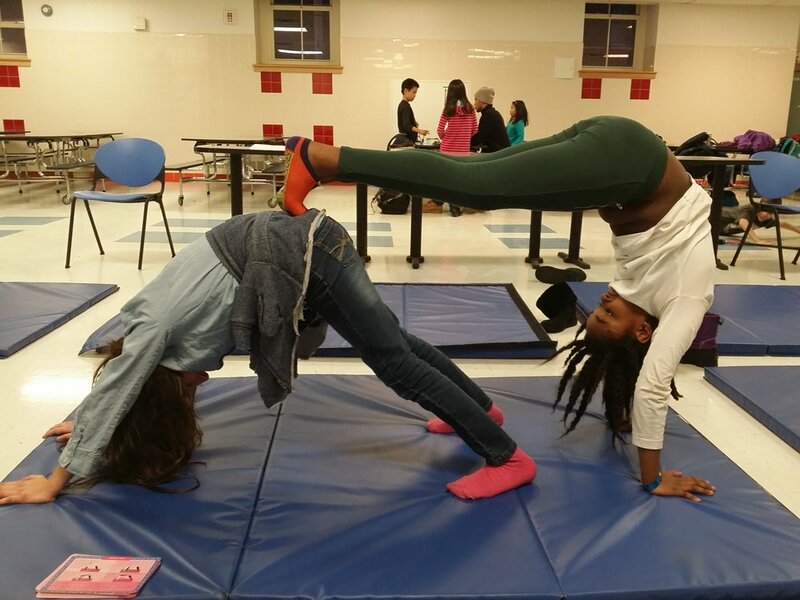 Yoga for the real world means: classrooms, cafeterias, hallways, gyms, involving educators — on a budget that works. Continue reading about my direct service work in NYC public schools or learn more about my professional development workshops. 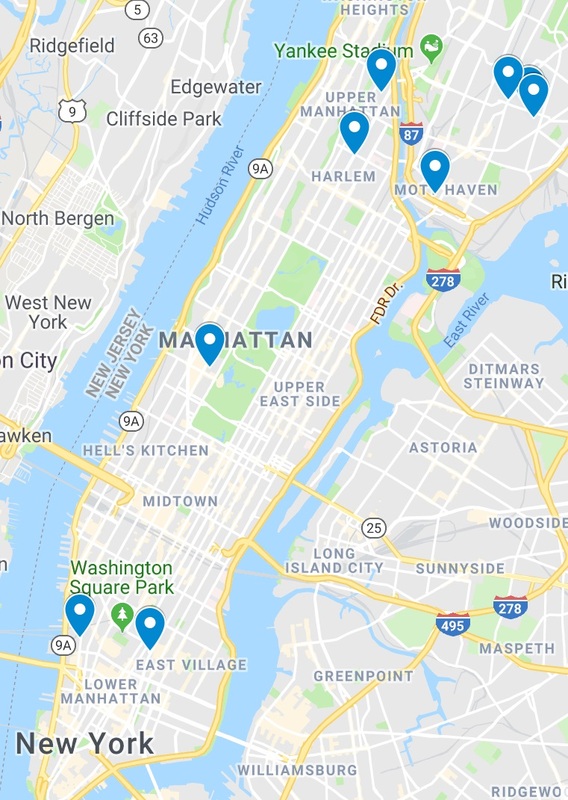 I often reach over 200 students each week throughout New York City and I'm reminded of the need to be sensitive to their varying backgrounds and responsive to their diverse needs. In order for students to develop intrinsic motivation, especially those who have experienced toxic stress, they need to feel a sense of: autonomy, competence and relatedness. This is where yoga and mindfulness comes in. 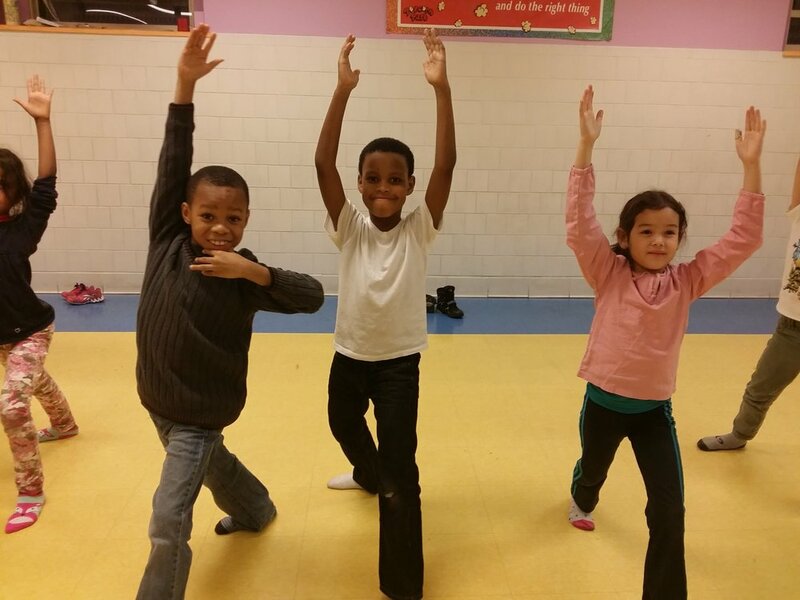 In Pre-K: memorized yoga sequencing through song; understood and identified emotions such as confidence, loneliness and frustration; learned to still their bodies and focus on their breath. In elementary school: led peers in sun salutations; memorized self-soothing sequences such as self-massages; learned to elongate their breath to promote calm and focus. In middle school: explored the process of finding their own voice versus what influences them; demonstrated grit in working towards more challenging yoga poses; used breath to reflect on behavior and preparation for testing. Connect to themselves and others around them by building a safe and intimate space that promotes compassion and relatedness. Breathe as a means to self-regulate and understand what grown-ups mean by “calm down”. Move and increase their strength, improve flexibility and work towards mastering yoga poses such as crow and headstand. Focus on one thing at a time in an effort to block out ‘noise’ – both literal and internal. Relax to nourish their body with rest and develop tools for quality sleep.